In the past two days, the Eagle Eagle Farming and Animal Husbandry (002477, SZ) has attracted attention from all parties because of the label of "the first stock of pigs" and the first case of "paying debts by meat". "Daily Economic News" reporter learned that "repayment of debt by meat" does have something. On November 8th, a creditor and the young eagle have reached an agreement to accept the listed company to pay the debt principal and interest in kind. The amount is about 21 million yuan. It is necessary to point out that Wu Yingde, the secretary of the eagle peasant husbandry, told reporters that “repayment of debt by meat” is actually a misinformation. The company’s plan is that the creditor’s interest is paid through the inventory product, which is the so-called physical repayment, and the principal is still Commitment to pay in cash. As for the agreement reached, Wu Yide said: "Because the amount involved in this debt is relatively small, the creditors can get the good things in good condition, and the agreement is signed and implemented." 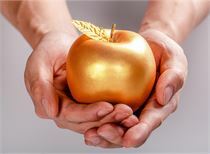 On November 7, Weibo said that according to the actual situation of debt default, the issuer proposed two solutions to investors on November 3: the first one is to use inventory to pay, and the subsidiary can use the subsidiary. Inventories include gift box series, ham series, red wine series, etc. The reimbursement price is calculated at 85% of the retail price; the principal is paid monthly for 10 years. 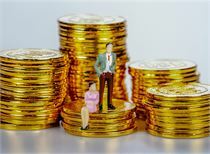 As far as the issuer is concerned, it has been determined that the holders who choose the first option have a total position of 280 million yuan. After verification within the company, Wu Yide told reporters on the 8th that the company's current plan is that the creditor's interest is paid through the inventory products, which is the so-called physical repayment, and the principal is still promised to repay in cash. Wu Yide revealed that a creditor and company had reached a formal agreement on November 7. The creditor is a legal person company and belongs to a financial institution. However, this creditor is involved in more than 21 million yuan of principal and interest, and the young eagle farming and animal husbandry are repaid in kind. "Because the amount involved in this debt is relatively small, the creditors can get the good things in good condition, and the agreement is signed and implemented." 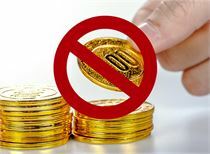 Wu Yide said that it is not excluded that new creditors will accept the repayment of interest in kind and the combination of cash repayment of principal. "Our plan is for all creditors." Wu Yide also added that for debt-ridden creditors, it is difficult for them to get the real thing, it is better to realize through the company's sales. It is understood that because there are more creditors involved, the Eagle Hawk Farming and Animal Husbandry will talk to creditors one by one. "There are a lot of intentional creditors, but there are no written documents yet," Wu said. The reporter found that the high-end fermented ham is expensive at the flagship store of the young eagle farmer's e-commerce platform. One of the two-year-old fermented hen, about 5 kilograms, is worth 13,999 yuan. The three season reports of the young eagle farmer and animal husbandry show that as of the end of the third quarter, the inventory value reached 1.61 billion yuan. So, what is the value of the creditor’s physical value? "We must first look at how much inventory goods account for in inventory. Because the sales department is also selling, it is also realizing." Wu Yide said. What kind of legal issues will the company involved in the return of debt interest through the physical return of the company? Wang Huaitao, a lawyer at Shanghai Xingu Law Firm, said that the physical repayment is still legally permitted. The key is to see whether such repayment is a contract or a practice contract. “If it is determined to be a contract, then for the creditor, the risk is still Relatively large". 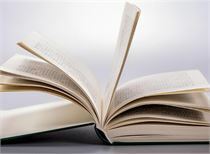 “It is also necessary to pay attention to the valuation of physical goods. 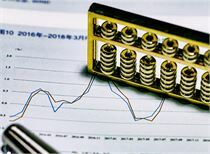 Generally speaking, it needs to be jointly approved by the evaluation agency, because this includes factors such as product quality and storage period.” Shanghai Minglun Law Firm Wang Zhibin said that the physical compensation is not in the capital market. precedent. “The company will have some self-rescue measures. Because of the tight cash flow, some businesses are affected. 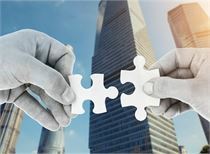 The company will integrate at the subsidiary level and sell some short-term unprofitable assets.” Wu Yide said that after the integration of assets, the company believes The whole situation will improve. Recently, there have also been special funds for bail-outs in the capital market. Will there be a "white horse knight" to assist the young eagle farming and animal husbandry? "If there is such an agreement between the capital party and the company, we will announce it." Wu Yide said that there have been some capital parties and companies talking, but the negotiation process will be long-term, and both sides need to meet the conditions. Ham, pork as interest! The young eagle farmer’s animal husbandry really wants to pay for the meat. The store situation is like this. Ministry of Finance: Stamp duty on securities transactions in January-February 2019 was 19.7 billion yuan, down 41.1% year-on-year. The annual report of the steel industry is expected to be high, and the organization is expected to concentrate on 6 stocks. How high is the Shanghai Stock Index's 5 wave rising target? Tomorrow's market is expected to be extremely good. The revelation of the bald head out of the rivers and lakes! Starting the main rising wave market is still in short supply! What does the 28th switch mean? The upside again brings a high throwing opportunity! Why is the market soaring again? The list of the board is accepted or announced on Friday. The sponsor institution is receiving the final training. Kechuang board for the first time insurance training exposed heavy pounds! The focus of the review is on whether 6 and 6 do not redefine 4 sets of standards. Ye Tan: Sleeping all night! These old people were cheated to the last suite of life. The scum company should be exposed on 315! [US stocks] The phone can't be sold! Will Apple be the biggest loser? [gold] The central banks have bottomed out. 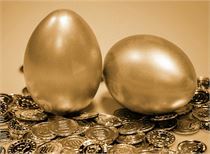 The gold bull market is coming? Why do chemical products ignore the benefits? Small and medium-sized Hong Kong stocks are expected to increase in turnover? The Fed has to scare the market again?